The Pacsafe Venturesafe X24 Backpack is a 24L backpack that is 15" laptop compatible with various security features. The had a hidden pocket along with external attachment points on shoulder straps for small items such as pouches or water bottles, yoga mats or sleeping bags. The backpack also holds a an adjustable & removable hip belt for improved stability. It's top-tier construction combined with anti-theft technology will keep up with any adventure & keep your valuables secured. The internal organization is such created that you get enough room for your 15 inch laptop or a 10" tablet meaning you can fit all your gears into the internals pockets provided inside. 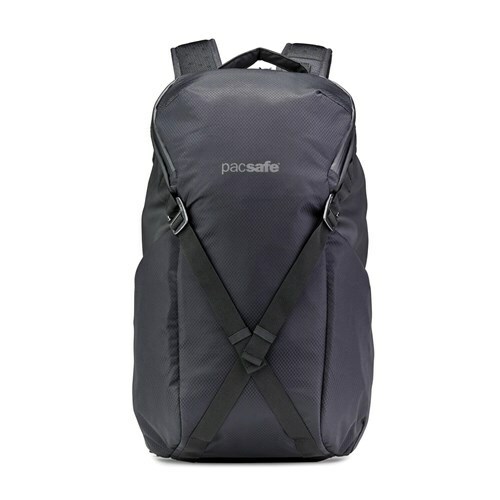 The Pacsafe Venturesafe X24 Backpack - Black has many exciting features for users of all types. 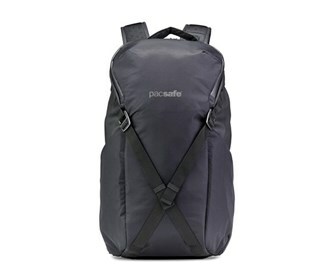 See the Pacsafe Venturesafe X24 Backpack - Black gallery images above for more product views. The Pacsafe Venturesafe X24 Backpack - Black is sold as a Brand New Unopened Item.